Oh, this held so much promise. I wanted to swoon, wanted to love this Gothic fantasy, a dark, and supernatural tale set in the 1800s. After all, this is the type of book I like to read during the cooler months, especially for Carl's RIP celebration. 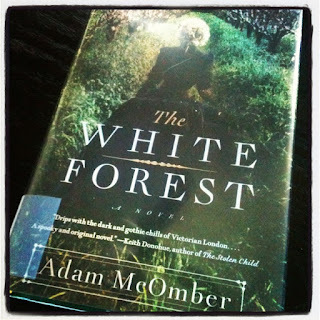 Unfortunately, this just didn't work for me, but McOmber's writing is so beautiful, I do plan to pick up his next book. Set in the 1800s in England, Jane Silverlake's friend, Nathan, has disappeared under questionable circumstances, last seen with a cult led by a local mystic named Ariston Day. Jane's never had friends, and when she was young, she was fairly sequestered with an absent father and cold servants, destined to walk the heath and the grounds, until she met a spirited and independent young woman named Madeleine. Maddy and Jane became fast friends with Nathan, and their bond strengthened as they grew older, and soon Jane is comfortable to share her gift, one she always felt was a curse. Jane has the ability to feel, see, and hear the souls of objects that are man-made, which can be overwhelming in certain urban situations, but is hushed by nature. This gift simultaneously intrigues Nathan and horrifies Maddy, and Nathan's urge to learn more sets him on a path to potential destruction when he gets involved with Ariston Day's cult, resulting in his startling disappearance. Jane and Maddy begin their own investigation for Nathan, desperate to find him before he is hurt or worse, but the time to locate Nathan and save Jane from Ariston Day's threats becomes a rush of secret meetings, hidden journals, broken hearts, and supernatural elements. The time period is represented incredibly well and, at times, it read as though it was written during the 1800s, which was refreshing. The White Forest contains such a delightfully eerie atmosphere and unique premise and setting, evocative descriptions and moments, that I was immediately pulled in. Sadly, several elements felt out of place for me, more so towards the latter half of the book, and I ended up quickly rushing through the last sixty pages. McOmber also inserts multiple flashbacks into the "current" narrative and within the same paragraph, which, without some break, became confusing. I wish a line break had been included to delineate easily for the eyes that the event occurred in the past. I wound up spending a good bit of time during all of the flashbacks reminding myself that it happened before Nathan's disappearance. I also don't need to like a main character, or any character (i.e. Gone Girl) for me to love a book. Jane especially disappointed me and her excuse for why she treated her servants horribly seemed more of a hasty afterthought. Let me clarify: Her servants were so afraid of her, that as a child, Jane was kept locked in a room for hours at a time. It wouldn't bother me one bit if Jane treated them badly, but the explanation of the locked room seemed a last-minute insertion. The one remaining servant was absolutely terrified of Jane, so the biting comments came across as Jane being privileged and snooty, which was how she seemed most of the time. I can't share detailed thoughts on Nathan or Maddy since it might give events away, so suffice it to say it was frustrating Jane liked them at all. This book started off so wonderfully, but tapered off into a disjointed and distant story. The annoyance for the characters, jarring flashbacks and a bizarre ending, left me off kilter. My usual willing suspension of disbelief just didn't take over this time. I am only one reader in the vast sea of reading enthusiasts. If this book sounds interesting to you, I would encourage you to pick it up. No two readers are alike. The premise is unique, the writing beautiful, and if you want to see positive reviews, check out Barnes and Noble, Goodreads, and LibraryThing; there are more than enough examples of reviews by other readers who love this eloquent tale. As I mentioned at the top of this post, because McOmber's writing is so especially beautiful, I will definitely pick up his next book. Check out the passage below. FTC Disclosure: I checked this book out of my local Virginia Beach public library. 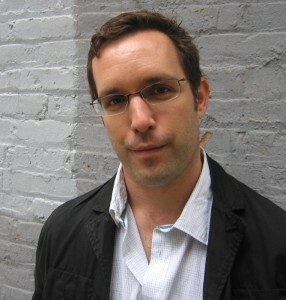 Adam McOmber teaches creative writing at Columbia College Chicago and is the associate editor of the literary magazine Hotel Amerika. Stories from his collection This New & Poisonous Air have been nominated for two 2012 Pushcart Prizes. This is another selection for Carl's RIP VII celebration. For other participants' reviews, please click here. Sorry you didn't love this. There's nothing worse than wanting to swoon and ending up swoon-less. What a shame - it sounds like such a great premise and lovely writing. I might check out something else by this author just for those reasons. I have had that happen a few times and I think it makes the disappointment that much worse. I really try hard now not to hype myself up for a specific book because I have let myself down a couple of times - I really do think in my case it was an issue of too high expectation on my own part.